Estate taxes are one of the taxes covered by the IRS’s unified transfer tax system. Estate taxes are designed to collect taxes from transferring property at death. Proper planning can save a substantial amount of money in taxes. This course will discuss estate planning and estate taxes. This course will describe the tools that are available for estate planning and will define the benefits of using each tool. 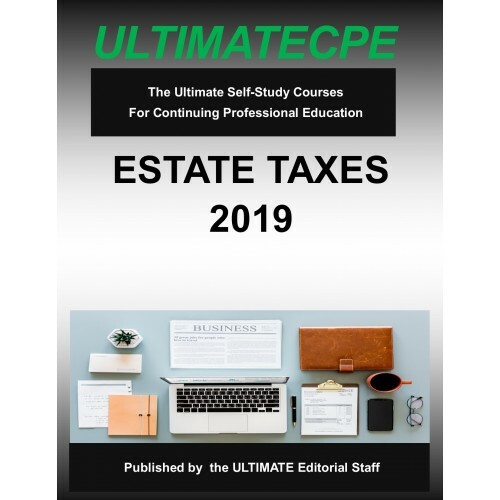 This course will describe how to identify what is included in the gross estate and demonstrate how to calculate the gross estate amounts. 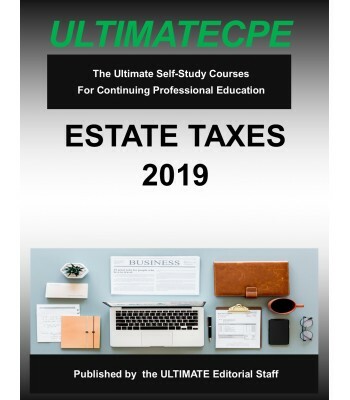 This course has been updated to reflect all current changes to tax law and amounts for 2019.